Southern California, home to Hollywood, knows how to put on a show. As such, the area's theme parks offer thrills and surprises for the whole family. Here are your options for a theme park adventure near Los Angeles. This one-stop shop for movie lovers features a series of “worlds” where fans immerse themselves in rides and attractions designed around their favorite characters. From the thundering action of Transformers: The Ride–3D to the mysteries at the Wizarding World of Harry Potter, each area has its own, larger-than-life experience. The park’s Studio Tour is the best way to get a behind-the-scenes look at Universal Studios history. The original Disneyland®, this is the ultimate theme park. You’ll find the iconic Sleeping Beauty Castle Walk-through, eight themed lands, and Disney character experiences. Popular rides and attractions include Space Mountain and Peter Pan’s Flight, plus evening fireworks and light shows. Opened in 2001 across from Disneyland®, Disney California Adventure® Park builds on the original concept with attractions tied to additional movies and themes, including Star Wars. Heroic Encounter: Black Panther and Radiator Springs Racers are stand-out character experiences and stage shows from Pixar and Disney. Built for kids, Carlsbad's LegoLand mixes more than 60 shows, attractions, and rides into its all-Lego, all-the-time theme. Create a home for horses at Horseland Stables, earn a LegoLand driver’s license at Junior Driving School, or, in New York miniland, see Central Park made entirely from Legos. 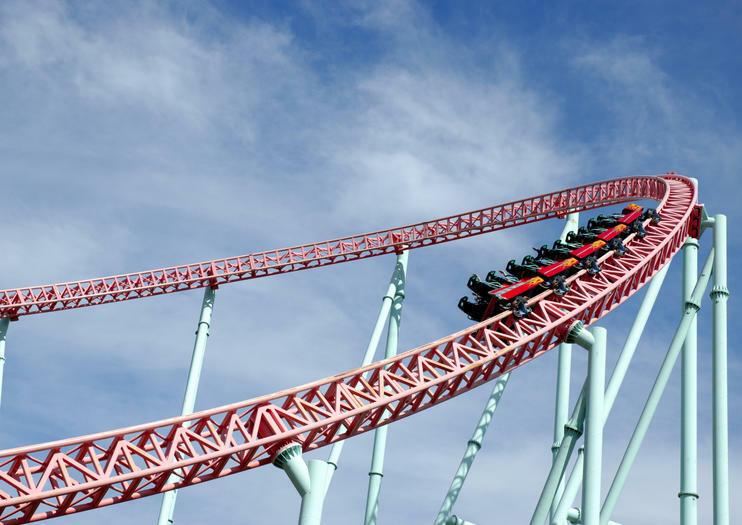 Gravity-defying roller coasters are just one part of a full day at Knott’s Berry Farm in Buena Park. Fans of slower rides will appreciate the Calico Railroad steam engine and classic Timber Mountain Log Ride, while the Old West Ghost Town offers tales of the Old West and the Camp Snoopy theater hosts family activities and shows starring the gang from Peanuts. Looney Tunes’ Bugs Bunny and Daffy Duck invite guests to participate in live action shows at Six Flags Magic Mountain in Los Angeles, where rides are the name of the game. Roaring Rapids and Pepe Le Pew’s Tea Party offer thrills, and Wonder Woman’s Lasso of Truth and the intense loop-de-loops of the Viper are an intense rush for adrenaline junkies. Animal lovers can hit SeaWorld SanDiego, aquariums are plentiful, ride loops and inversions are sea-themed, and shows feature creatures of the sea. Dolphin Days show dolphins and pilot whales at their acrobatic best, sometimes splashing the audience. Welcome to the happiest place on Earth - Disneyland® Resort! From as little as USD48 per day, your Anaheim vacation will be more than magical when you book your admission tickets in advance. Skip the long ticket lines and head right to the turnstiles so you can spend more time enjoying everything these two amazing theme parks have to offer! Please note: This product is available to residents of USA, Mexico, Latin America and Japan. Enjoy the ultimate movie-lover’s experience at Universal Studios Hollywood, the world’s largest combination film studio and theme park, with this general admission ticket. Get a behind-the-scenes look at film production during the park’s world-famous Studio Tour. When you need to take a break from the fun, dining, shopping and nightlife options are at the waiting at Universal CityWalk™. Nab this Universal Express Ticket for a superior experience at Universal Studios Hollywood. With this popular pass, get all-day admission to the parks as well as one-time express access to each ride, attraction and show the park offers. A limited number of Express Tickets are available each day, so pre-purchase yours to ensure the best possible experience. Save $1,000 or more on dozens of top Southern California attractions, activities, eateries and stores with the Go Los Angeles™ Card. Use your Go Card in Los Angeles to save up to 55% on a variety of great activities and businesses, allowing you to explore at your own pace. You might take a VIP tour of Warner Brothers Studio, visit Universal Studios Hollywood™, check out the celebrity likenesses at Madame Tussaud’s Hollywood, enjoy fun rides at Six Flags Magic Mountain or explore the city with on a hop-on hop-off tour, plus much more. You can purchase cards valid for between one and seven days (allowing unlimited use for that many days within 14 days of the first use). 3-, 4-, 5-, and 7-Day passes have one day, skip the line, access to Universal Studios!There’s also no voucher to redeem—just present your pass and enter. Feel like a true Hollywood celebrity with this VIP access pass to Universal Studios Hollywood℠. Get behind-the-scenes access to this combination movie studio and theme park, experiencing sites that few visitors ever get to see. Start with a guided tour of the studio’s film lot, gaining special access to locations off-limits to the general public. Then take advantage of express access on the park’s many thrilling rides, plus special reserved seating for shows. An included gourmet catered lunch and valet parking add an extra dose of exclusivity to your day.Please note: space for the VIP Experience is limited and advance reservations are required. Take the hassle out of getting to Universal Studios Hollywood with this convenient transfer service. Skip the hassle of driving and finding a parking space at the popular theme park, and instead book this round-trip transfer. Get picked up from your Anaheim hotel in the morning and travel by coach to Universal Studios Hollywood, where you’ll enjoy a full day to explore before returning to your hotel. Head backstage and discover the magic behind Hollywood’s most memorable movies and TV shows during an exciting day at Universal Studios. Experience the allure of Hollywood on the park’s world-renowned studio tour and enjoy the dynamic thrills of dramatic rides. Round-trip transport from Anaheim is included, making your Universal Studios adventure completely carefree. Welcome to the happiest place on Earth - Disneyland® Resort! From as little as USD68 per day, your Anaheim vacation will be more than magical when you book your admission tickets in advance. Skip the long ticket lines and head right to the turnstiles so you can spend more time enjoying everything these two amazing theme parks have to offer! Please note: This product is available to residents of Australia, New Zealand, Europe, United Kingdom, Asia and Canada. Spend the day at Knott's Berry Farm with the family. Enjoy quick entry with this pre-paid ticket and skip some of the waiting in line. Experience the 5 zones of Southern California-themed fun and ride coasters like Ghost Rider and Xcelerator. During summer, upgrade your ticket to the Ride and Slide combo and get one day admission to each park - 2 parks for 1 great price! Entertain all ages at Six Flags Magic Mountain near Los Angeles. Enter the amusement park with ease using your pre-booked admission ticket, then choose from a variety of ride options such as pulse-pounding roller coasters for thrill seekers, and gentle rides that are ideal for young children. Popular cartoon characters perform in shows on stage, and restaurants are available to purchase snacks or meals. Make the most of your weekend on a stress–free, family–friendly day trip to Knott’s Berry Farm. No need to plan logistics or navigate on your own: Round–trip transport from your Anaheim/LA home or accommodation is included. Your pre–reserved admission ticket allows you to breeze past the ticket booth and start exploring the park's many attractions, from game booths to a classic wooden rollercoaster. Enjoy thrilling rides and blockbuster shows as your favorite movie and TV moments come to life at Universal Studios Hollywood, thanks to this admission pass and transport to the park. See how movies and TV shows are made on a behind-the-scenes studio tour, and experience dozens of rides based on film and TV favorites like Transformers, The Simpsons, and more. Thanks to the included transport, you can also skip public transportation and pricey parking fees, and even upgrade to include round-trip transport direct from your hotel. Swim and splash at Knott's Soak City with this prepaid admission ticket. Spend the day at this water park, inspired by the surf culture and beach towns of Southern California in the 50s, where longboards were the latest craze. Cool off on a hot Orange County day with this ticket for fun in the sun in Buena Park, including full-day, unlimited use of water slides and activities. Upgrade your ticket to the Ride and Slide combo and get one day admission both Soak City and Knott's Berry Farm - 2 parks for 1 great price! Experiencing all Anaheim has to offer, doesn’t mean you have to miss out on San Diego’s SeaWorld. This SeaWorld San Diego tour provides round-trip transport from Anaheim, and gives you your admission ticket ahead of time, so you don’t have to wait in long ticket lines before you go in. Plus, you can explore SeaWorld at your own pace, stopping by the attractions, exhibits, and animal performances you want to see. Two of the most technologically advanced attractions in San Francisco, together for one great price! Get the most out of your visit to San Diego with the Go San Diego™ Card, granting you access to 43 top city attractions, tours and activities -- with 3+ Day passes including a premium choice of SeaWorld or a Hop-On-Hop-Off -- plus a range of great shopping and dining discounts. Check out the San Diego Zoo, Knott’s Berry Farm and LEGOLAND® California, or try kayaking and snorkeling in La Jolla. You might also choose to take a city walking tour, or make a day trip up to Los Angeles to visit Hollywood. Whatever your interest, this infinitely-flexible pass lets you call the shots. You’ll also save 30% at included retailers and restaurants. Best of all, there’s no voucher redemption necessary. Just save your pass on your mobile device and start the fun. Let your imagination run wild during a day of fun with tickets to LEGOLAND ®California Resort. Build, play and explore among the park’s range of 60 rides, shows and attractions. The optional 1-Day Resort Hopper upgrades let you extend the fun with included entry to SEA LIFE Aquarium and LEGOLAND Water Park with 2nd day free! From Anaheim area hotels, door-to-door service for your Hollywood tour! Our tour vans can take you to cool places where the big buses can't (celebrity homes, Griffith Park Observatory and Rodeo Drive). See the sights of Los Angeles, Hollywood and Beverly Hills in air-conditioned comfort in a Mercedes tour van with an experienced tour guide. You'll see downtown Los Angeles sites, Hollywood Boulevard Walk of Fame, the Griffith Park Observatory overlook (Hollywood Sign), Sunset Boulevard, celebrity homes, Rodeo Drive, and stop for lunch at the famous Farmer's Market/The Grove. And we're a family-owned business with 28 years in the industry. And we have an A+ rating with the Better Business Bureau. LEGOLAND® California—the first park of its kind in the US—offers up more than 50 family-friendly rides, attractions, and shows. Don’t fret about the logistics of planning a visit: secure your tickets before you travel, and enjoy round-trip transportation directly from your Anaheim hotel. Set off in the morning and, upon arrival, enjoy a full day of entertainment and discovery at your leisure. Upgrade for admission to the SEA LIFE Aquarium and LEGOLAND Water Park. Soar over San Francisco without leaving the ground with an admission ticket to The Flyer. Using immersive 3D technology and movement, you’ll take a flight over San Francisco landmarks such as Coit Tower and the San Francisco Bay. Simply head to Pier 39 for this high-tech introduction to the City by the Bay. Visit Adventure City theme park in Anahaim with this admission ticket that provides access to more than a dozen rides, shows, and other attractions. Get your heart pumping on a roller coaster, ride the train for a scenic journey around the park, or check out the Crazy Bus. The Petting Farm and Children's Theater create a kid-friendly atmosphere. Arrange your round-trip transport from San Diego to the SeaWorld San Diego and skip the hassle of driving and parking. This convenient service takes you from your San Diego hotel or private residence to the marine park and back, so you can spend a full day enjoying the theme park’s dolphins, whales and walruses!